You're looking for a little something to give away? 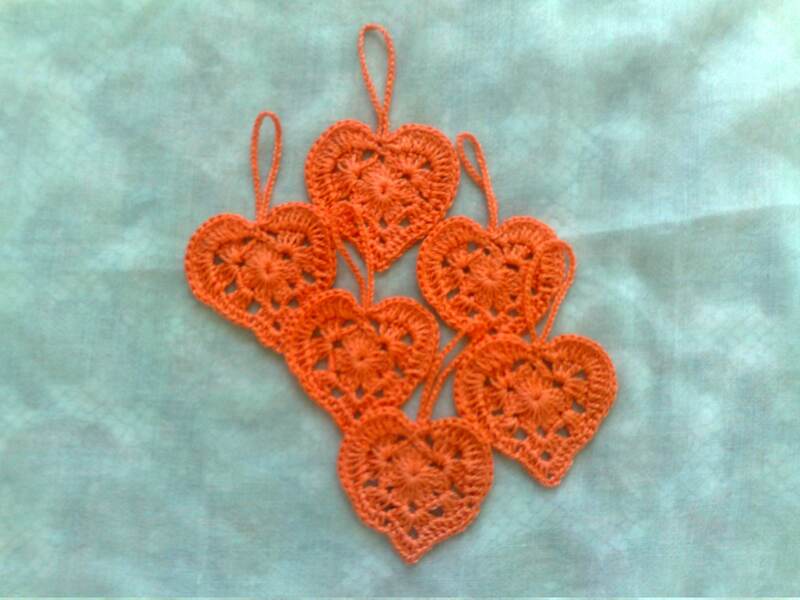 Then these great crocheted hearts are the ideal gift idea! 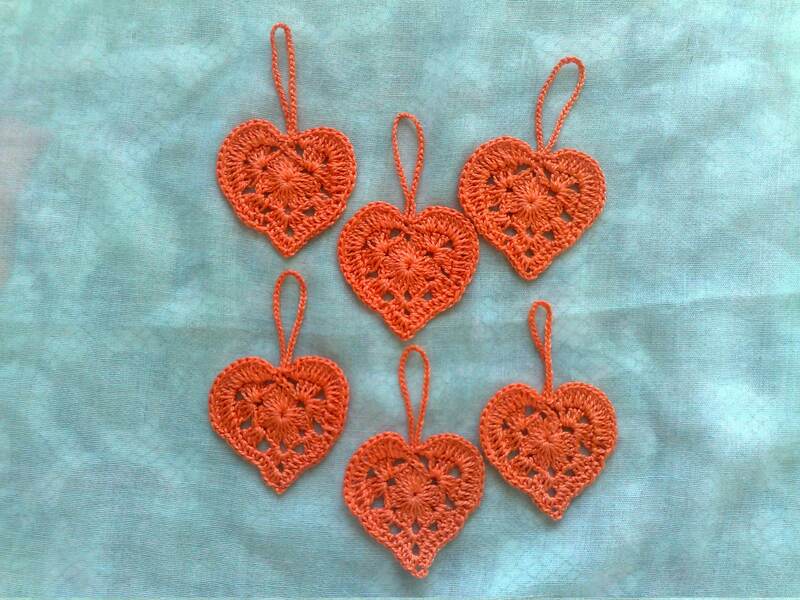 Or to decorate a gift. You will get a quality product that was produced by me personally. 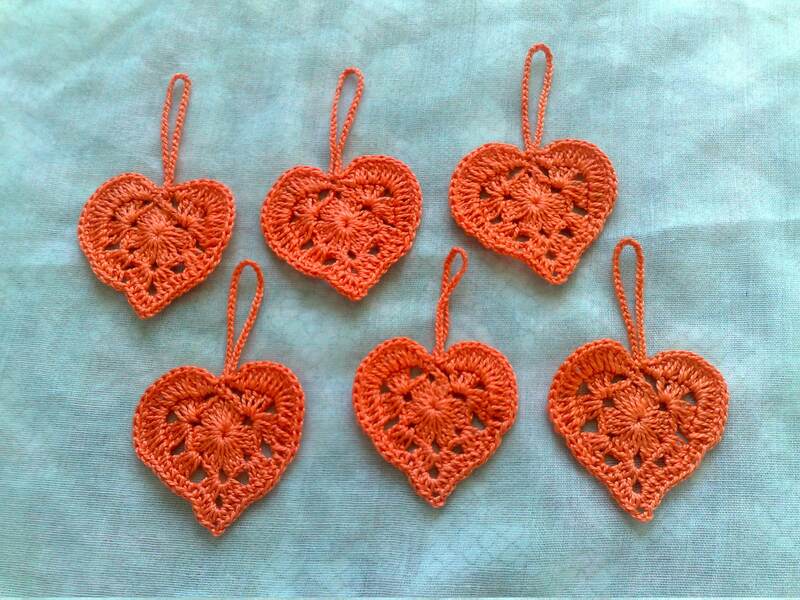 These crocheted hearts are perfect for decorating gifts, skirts, blouses, sweaters, hats, scarves, bags, gloves, baby clothes, children's clothing, accessories, pillows, home culture, pillow covers, blankets, bags, children's rooms, baby clothes, cards or Hair clips. 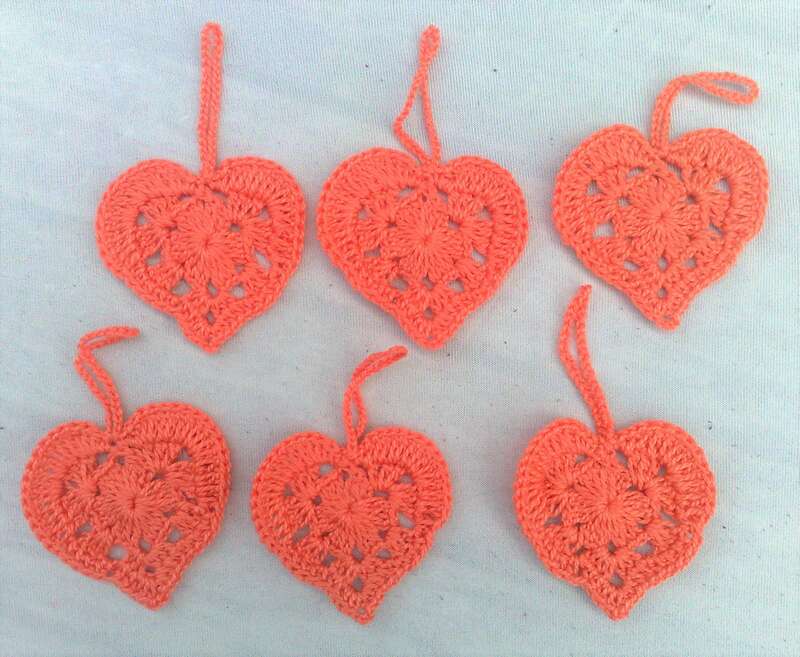 The crocheted hearts are also used as a patch to sew various original decorations. There are infinite possibilities for use. 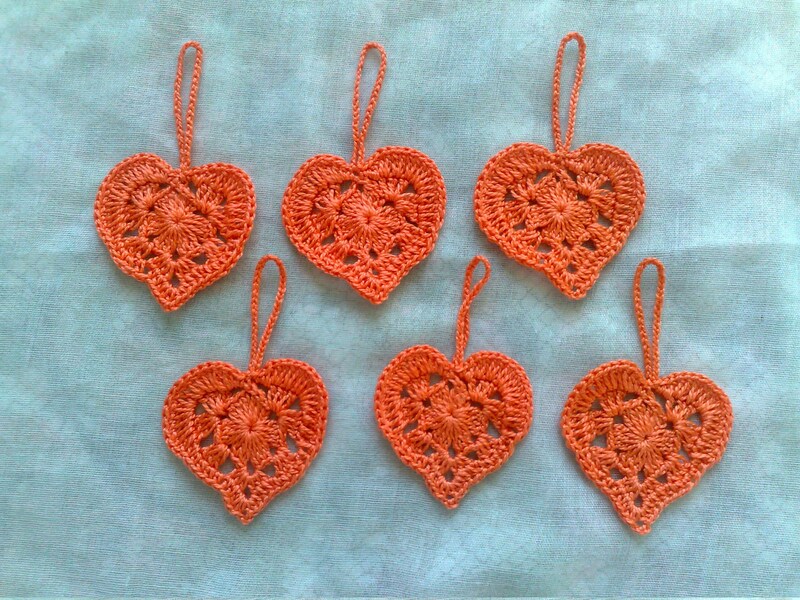 Each gift pendant is unique. 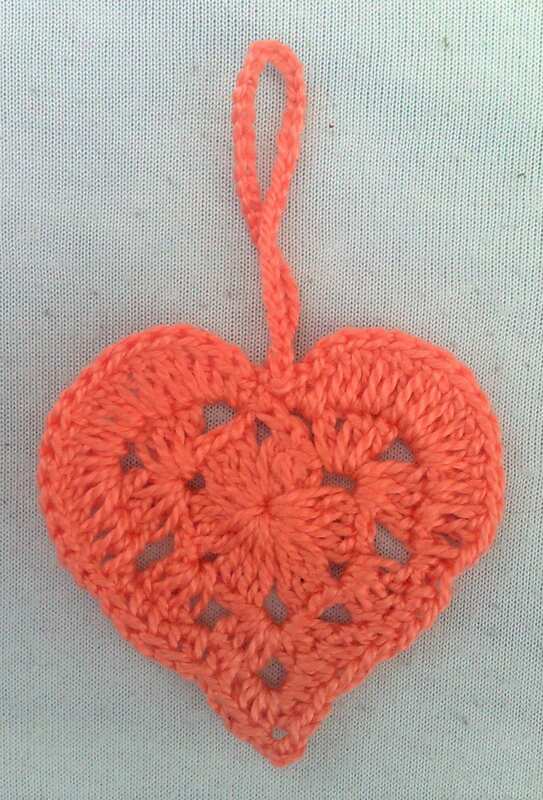 The Crocheted Hearts were produced in a smoke-free and animal-free environment. Like this article, but not the color? So please contact me. Special orders are welcome.